According to the Note Rapide 605- Quelles perspectives d’évolution pour le marché de Rungis?, published by the Institut d’Urbanisme et d’Amenagement de la Règion Ile-de-France (Paris region), the national market of Rungis is the largest wholesale fresh food produce market in the world. So it is a strategic asset in the food system sustaining a population to reach 12 million on the whole region. 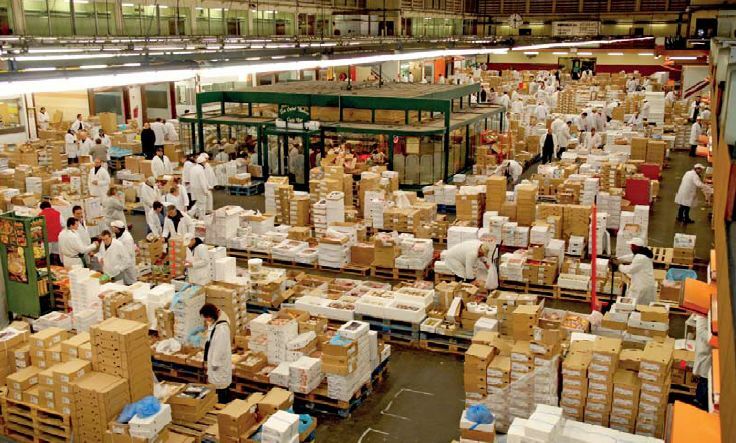 Designed in 1962 to substitute the central Paris Halles built by Haussman, and having also substituted the meatpacking facilities of La Villete in 1973, it occupies 230 hectares, with 12.000 jobs in 1.200 firms. 87% of the turnover comes from food products. 56% of products are fruits and vegetables, 21% meat products, 12% seafood and 12% dairy and prepared food. The main competitors for this market is the cash and carry segment, mainly the Metro group, as well as wholesale retailers. 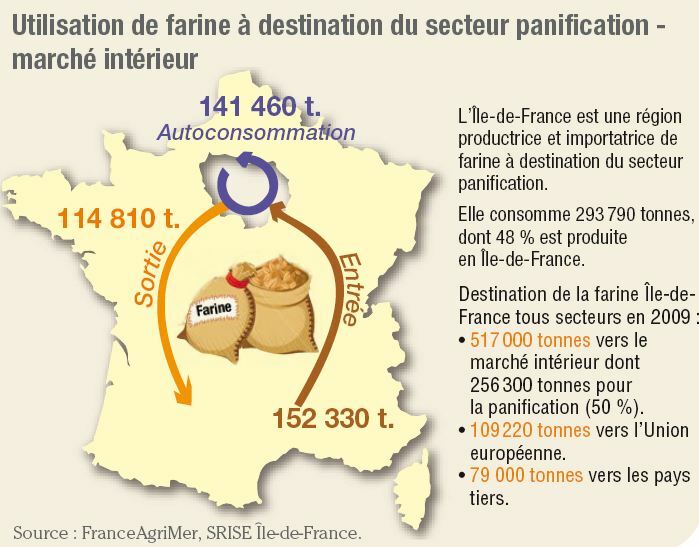 According to Note Rapide 535- Nourrir 12 millions de franciliens: un defi au quotidien, also published by the IAU-IDF, this market is at the core of a regional food system with a sizeable productive capacity, but despite that a net food importing region. 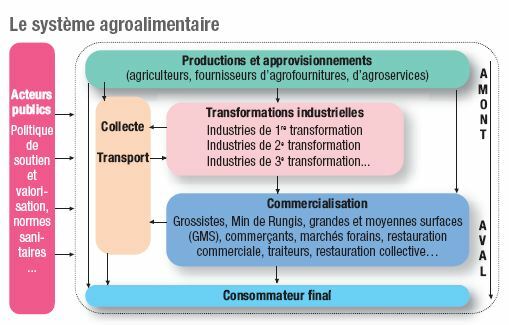 This food system is biased towards the end user (80% of jobs and bussineses are on the small grocers, as opposed to just over 9.000 bussineses in the agro-food sector). A part of the food production is transformed in other regions. In terms of floor, for instance, the volume produced in the region is close to the total consumption, but the interregional trade creates a deficit. The competition for land also is relevant in Ile-de-France, as 45% of the former farms have dissapeared in the last twenty years. Developing regional agro-food sectors that can cope with the climatic challenge is a need.